Yo everyone!!! Hope I you are all doing fine. I am currently in the office and drafting this blog post to you. 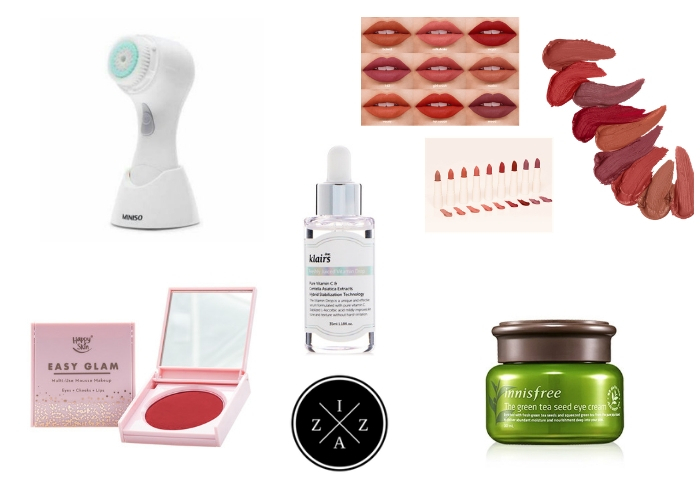 I believe one product that I haven't blogged at all is a makeup primer. I am not into primers at all. Even if its fir the eyes, face or others. I am that kind who feels that primers are unnecessary and can be skipped. Not until I got my hold into the Maybelline Pore Eraser and finally was able to explore more primers for the face. 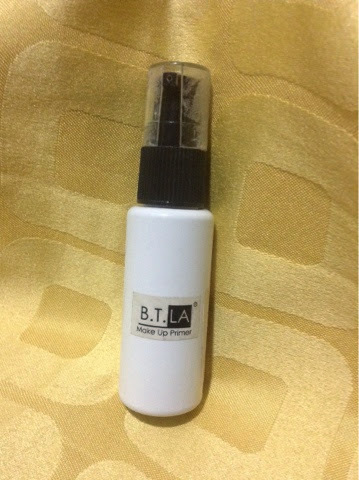 I bumped into the local makeup line, Beauty Treats LA that sells this very inexpensive makeup primer. 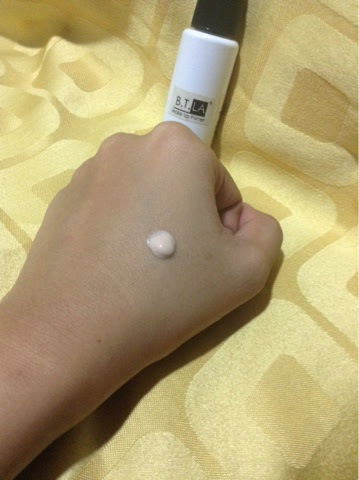 I thought its a good thing to do a review specially because primers are in for the hot weather. The primer's packaging is very basic. Honestly, the packaging of this being white and just a simple sticker is something that is counted as a con for me. I think the company should invested more in making this pretty. At the back is the info about the ingredients inside as well as the amount of product. It is also good that the manufacturing date is given so that it is easier to track the product's quality. For the close up of the back. 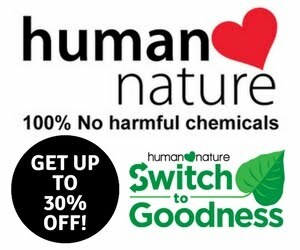 It clearly states that the product has Cethyl Alcohol so for those who are easily irritated then this product will not be suitable for you. The product is 30g for only 129pesos. 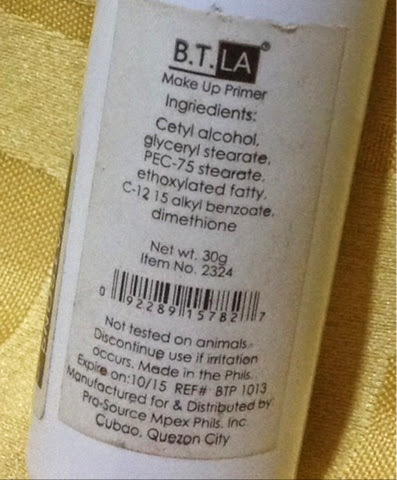 As said at the back, the product is not tested on animals which is a plus factor for me. 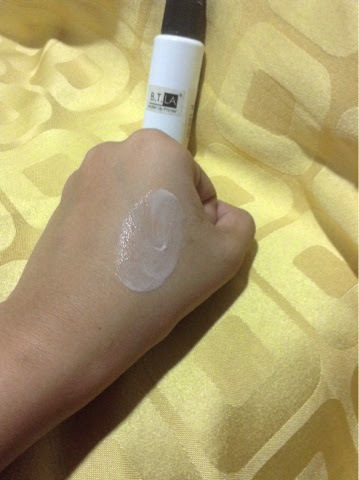 The product, unlike the Maybelline Pore Eraser is a but liquidy. Also its color is a sort of cream to white. This gives an added layer to the skin. 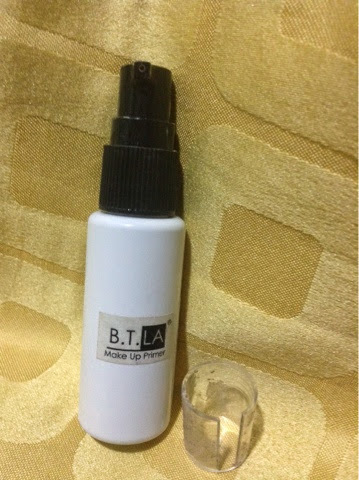 You only need a pea size amount for the whole face area because the product is very concentrated. Upon blending, the product turns into a lotion and very lightweight. You don't even feel that you have a primer on. It also dries fast and runs very smoothly. 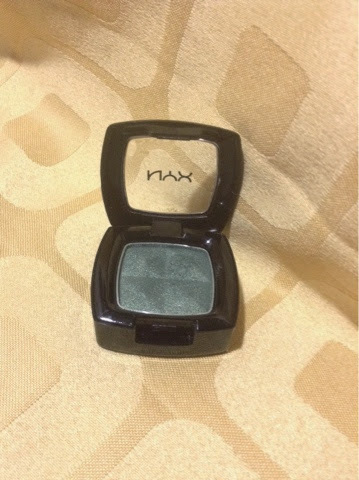 To give a comparison with and without the primer, I will be using my Nyx eyeshadow in Mermaid Green. I will put this at the back of my hand with primer and without the primer. 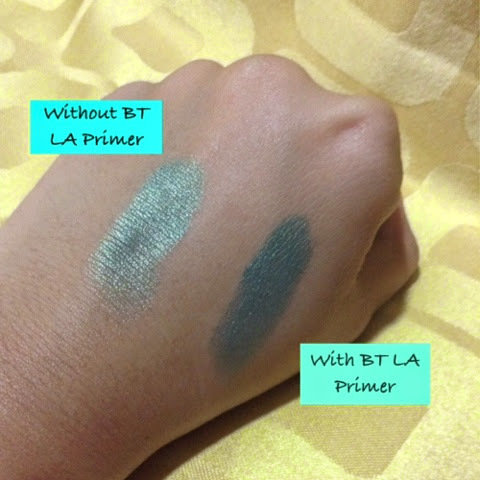 As you can see in the photo, it looks more pigmented and smooth when the BT LA Primer is on. It also cast out pores givig a very nive base for the makeup. 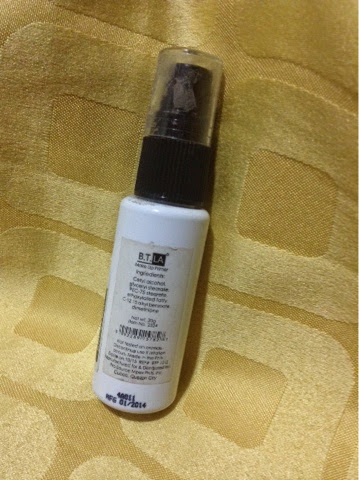 This product gives moisture to the face area and thus letting the product stay all day. I also notice that on areas where I put this one, I perspire less rather than those areas where I missed. Does this make your makeup last longer? Answer: In my experience, YES. It does make my makeup lasts longer that usul. SM Department Stores. Mostly beside the LA Girls counter. Are you still using the makeup primer?